Wildlife Removal Advice - Will a rat chew through the ceiling? 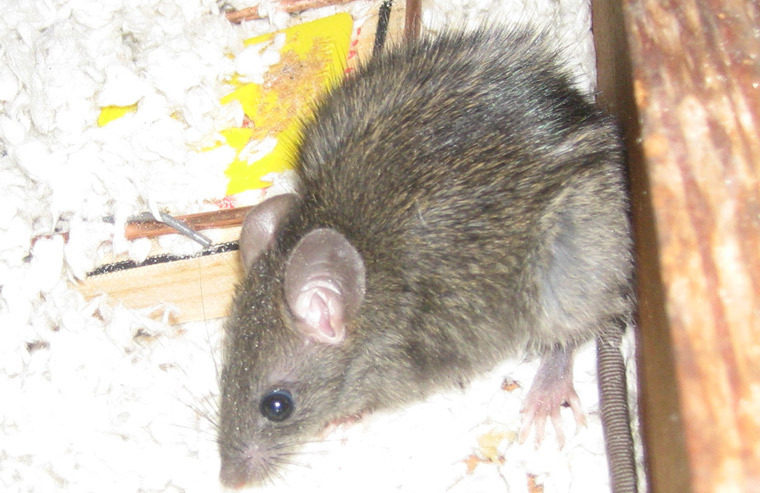 Rats will chew through almost any material, given half the chance, and that's why it is important to put a very serious plan into action when you discover you have rats infesting your home or commercial building. Rats teeth can be scored on the Mohs scale, a scale that measures how hard various material are. The score goes from 1, being the softest material, to 10, the hardest. Diamonds are well known to be in highest scoring on the Mohs scale, with talc being at the lower end of the scale. For the record, the enamel on human teeth weighs in at about 5 on the Mohs scale, and rats teeth are harder still - 5.5. This means that their teeth are actually harder than some metals, including copper and iron. Find out what to do if you hear a rodent on the roof. Rats don’t just have super sharp teeth that constantly grow and need to be filed down with that chewing action, they have a very powerful jaw too, and these two things work together to enable the rodent to chew through most materials that it would come up against. This includes many of the common materials found in your home, and also making up your home — cinder blocks, asbestos, brick, plastic, wood, cement, aluminum and lead. Find out whether or not rodents enter a building through the plumbing. The ceiling provides almost no protection between you and the rat, and it won’t be long before the rat can chew right through it. It will do this if it needs to escape, and this can often be the case when animals have crawled into a deep space in your home, and then been unable to get back out again.